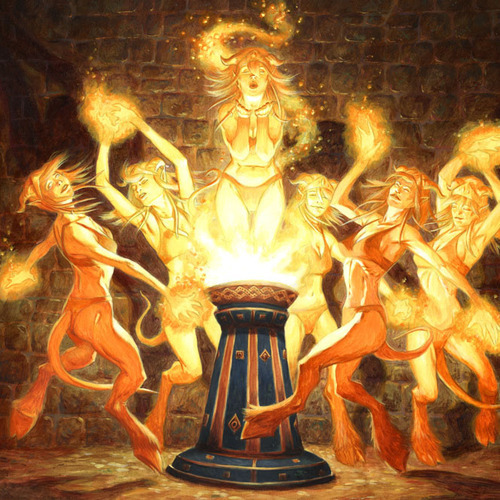 Something special happened days ago around the world, some people call it Kupala, some others Walpurgis, others Beltane, but in Azeroth is known as Midsummer. You can dance with the flames, become a dancing flame, honor the flames from your faction and desecrate the flames from the enemies. Collect the burning blossoms and purchase the food, the festive clothing or the toys. Brave Flame Keepers and Flame Wardens that will defeat Ahune, the Frost Lord may get Ice Chip, please, do not let this little one melt near the bonfires. Midsummer Fire Festival is here! Embrace the spirit of summer!